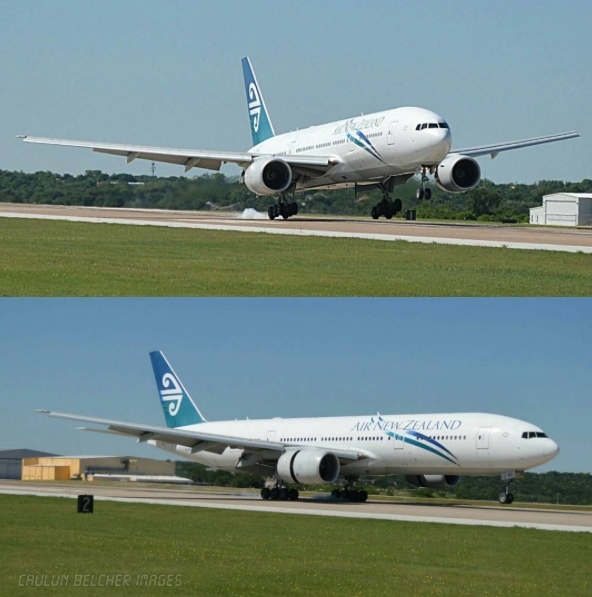 Air New Zealand operate Fl. 6001 from Auckland (AKL) to Fort Worth Meacham (FTW) on May 3. The aircraft, Boeing 777-219/ER ZK-OKE, landed around 1030am. In for a fresh paint job. Photos from Caulun Belcher.